It is very important to spend on necessities first and then on the luxuries. We often end up buying something that was not meant to be bought. While choosing your dining table your eyes should not be rolling here and there on the cabinet or to the side tables. It’s easy to see a picture and say that’s what I want in my bedroom, but you really need to look into your pockets first. You must follow your budget initially and then go for the luxuries when you are done buying the top ten things on your list. 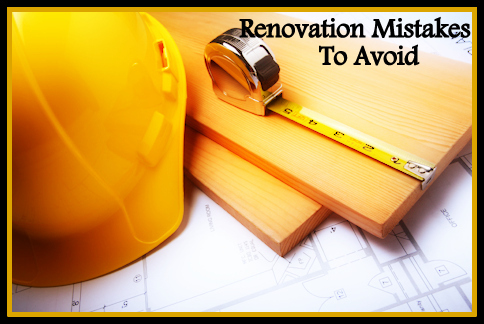 You will find a big contractor list for your area but you have to choose the best because after all he is going to be in your home and turn your renovation plans into reality. Investigate his position in the market and consult previous customers before settling on to any decision. Check for his quality of work, regularity and also whether the labour he has appointed is reliable or not. Picking the right paint can be one of the toughest decisions you make for your home. You don’t realize that there is paint for every surface. While choosing your paints you must ensure that it will provide a breathing space to each and every room. For instance, go for a pale green or yellow for kitchen; this will give it a brighter look, while for living rooms; eggshell makes the room look more spacious and cozy. Never install cheap materials; you’re going to get what you pay for. We often compromise on the quality of products while renovating our house. We look for cheap hardware or electric appliances which give only short term benefits and sooner or later we find ourselves stuck with a plumber or electrician on every weekend. If you think it’s too expensive then you must wait and save more. If you are planning to renovate your house you should inform the insurance company and get builder’s risk insurance added to your home policy. This will lead to a rise in your house value and also if something happens during construction such as a fire, insurance company will atleast provide minimal charge of it. Also make sure that your contractor has worker’s compensation coverage to protect them otherwise you could be liable if a worker gets injured on the site. ← How to deal with tricks real estate brokers play?